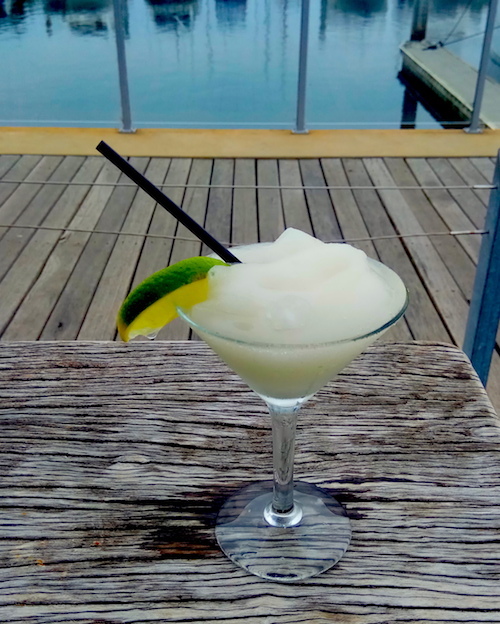 We’re maintaining a summer vibe at 360Q with this classic frozen margarita! It’s a fabulous summer cocktail recipe that’s just the thing to cool you down. Add tequila and Cointreau to blender. Squeeze the lime into mixture. Use the rest of the squeezed lime to rim the martini glass. Dip the glass in salt to line the outside. Add the blended mixture to the glass and garnish with a wedge of lime. Need a snack with your cocktail? Check out our summer menu for amazing options! 360Q is open seven days a week for breakfast and lunch and for dinner over summer. Book a table using our new online reservations system or call 5257 4200.